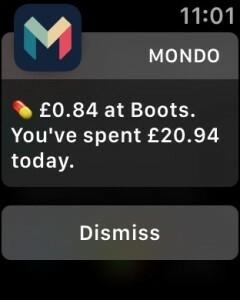 Recently I realised I’d been wearing my Apple Watch for six months and it gave me cause to reflect on how it had fitted into my daily routine. When my Apple Watch arrived six months ago I hadn’t worn a watch for several years; I’d got into the habit of checking my iPhone for the time and using my Fitbit for fitness tracking. However as phones get bigger it’s increasingly inconvenient to check the time on a phone so it’s back to a watch. The Apple Watch is a controversial gadget with both supporters and detractors. 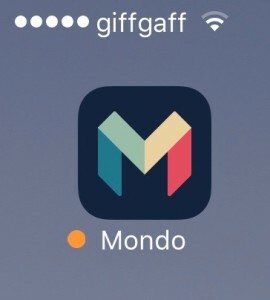 For me it’s the obvious extension to the iPhone and more useful than I expected. So what makes the Apple Watch so useful? 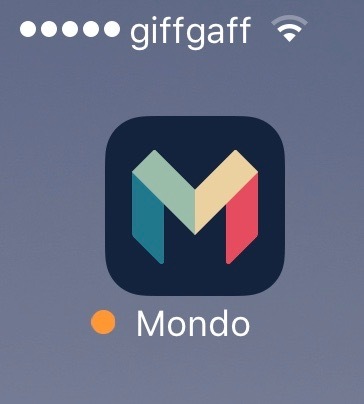 As someone who (curiously) finds payments interesting Apple Pay is of course my favourite app! Whilst Apple Pay adoption is apparently low I still believe its time will come. Changing consumer behaviour is usually a slow burn and payments is no exception. Whilst using Apple Pay can be a bit hit and miss, especially with Amex cards or older POS terminals, it’s a big improvement on a contactless card, both from a security and a transaction information perspective. 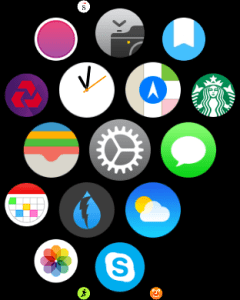 Apart from Apple Pay, of the standard Apple Watch apps the most useful ones to me are Maps, Messages, Activity and Apple Pay. Maps is a top app; pull up directions on your iPhone and then follow them on your Watch. More secure, more convenient. Using my Apple Watch to get cash from an ATM without a card is a neat trick thanks to NatWest Get Cash. The NatWest app generates a code that can be used to get cash from any NatWest ATM. Tapping my Watch to unlock my Mac using MacID is a timesaver over typing in a long password. Weather app Dark Sky makes use of a complication to warn you when rain is imminent. Day One lets you note your location with a tap so you can add a geolocated note later. It’s still early days for the Apple Watch but already it’s apparent how it will contribute to the impact of wearables on consumer behaviour. I’ve lost count of the number of times I’ve written about how innovation in payments must reduce the friction in the transaction process if it is to have any chance of succeeding and capturing the attention of consumers. Apple Pay in-store generally meets this criteria, assuming your bank is signed up and you accept the usual contactless limit restriction of £30 (in the UK) in most stores. Once all the banks are signed up and the limit restriction is gone, Apple Pay will feel like a truly frictionless payment experience, especially using Apple Watch. A couple of weeks ago I got an insight into the future of in-store payment when I bought a MacBook Pro using my Apple Watch – an expensive test and even the Apple retail employee said it was a first for him! Last week I signed up for Shell’s new Fill Up & Go payment app which allows you to pay for your fuel at the pump using your iPhone. I duly downloaded the app, created the required two different Shell accounts (work that one out!) and added my PayPal credentials (that’s how the payment works). The process was awkward and fraught with errors and if I hadn’t been a dedicated payments professional I would have given up long before the end. However having eventually got there I jumped in the car and went to the local Shell station to buy some petrol. No QR codes in sight – apparently it’s not operational yet although the QR code was there in July and I have a photo to prove it. So not only a poor sign up process but also a failure to deliver at the point of sale. 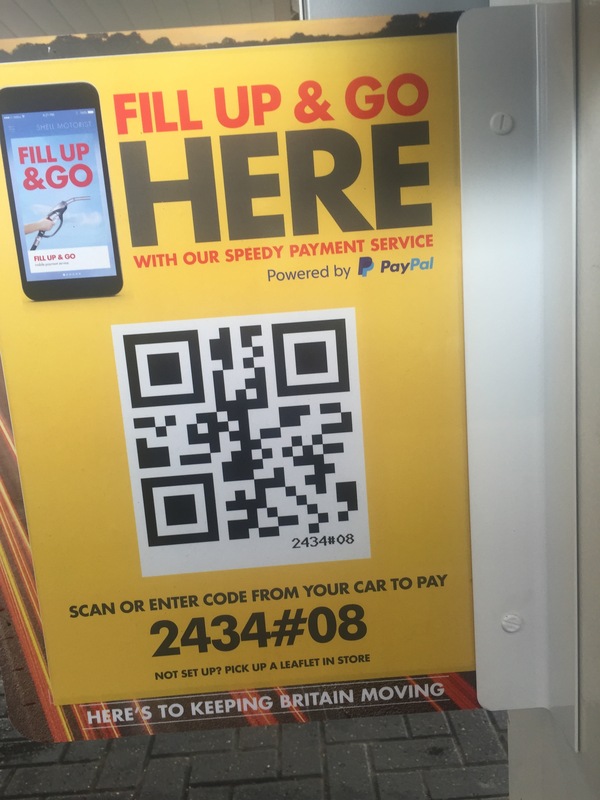 One bizarre point that caught my eye in the instructions is that apparently you have to remember to only scan the QR code on the pump from inside your car because you’re not allowed to use your phone outside your car (really!). What Shell ought to be doing is implementing Apple Pay at the pump – but then of course you’re not allowed to use your phone outside your car! Before launching, payment providers need to step back and look at what their application actually means for consumers and whether it addresses the friction issue. Much has been written about the launch of Apple Pay in the UK; how it works, where you can use it, which cards are supported and so on. But what’s it like to use in the wild? 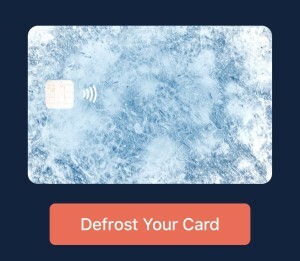 Setup is very easy – especially if the card already stored in your Apple / iTunes account is issued by an Apple Pay partner. Adding additional cards involves snapping them with the iPhone camera, adding the CVV2 number and waiting for activation. A couple of times the card expiry dates were incorrectly recognised so one to watch before confirming card details. My American Express cards activated with no additional steps, my NatWest card required an additional authentication step via a code sent by SMS. Using Apple Pay in-store is straightforward, especially with the iPhone. The Apple Watch is a little tricky as there’s a knack to twisting your wrist so the Watch face is over the contactless reader but you avoid smacking the face of the Watch on the reader and risking damage! 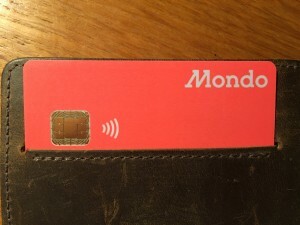 So what makes paying with Apple Pay better than just using a contactless card? Apart from the novelty value of paying with my Watch, there are two important elements for me. Transactions are more secure – the retailer does not receive my card details so there’s no risk of them being stolen from compromised point of sale equipment or elsewhere. Each transaction is tokenised so there’s nothing useful to steal. Realtime transaction alerts to monitor spending are important and can avoid later disputes. American Express already offers real time transaction alerts via iPhone Passbook notifications. Recently I was double charged in-store for a chip and PIN purchase; despite the terminal confirming the transaction was successful, the retailer assured me the till showed it hadn’t gone through so asked me to try again. I was able to show him a double transaction on my iPhone (and yes both transactions did settle later). There’s still a long way to go with Apple Pay. Removing the £20 transaction limit and installing contactless readers in stores that typically process higher value transactions will massively increase the utility of Apple Pay as a payment method. I’ve not yet had the opportunity to pay in-app – that’s my next challenge! Securing in-app card transactions, which are inherently susceptible to fraud via stolen card details, will be transformational in reducing online card fraud. What sets Apple Pay apart from every other mobile or wearable device I’ve tried for payments is that it does feel it’s been designed with the consumer in mind.